Owen snaps photos inside the Thornbridge brewery. 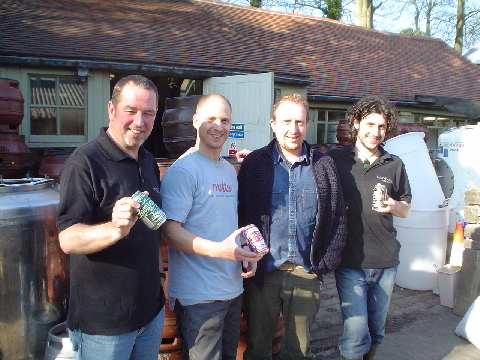 Owen and Kerri were lucky enough to travel to the U.K. in early 2007 to visit with the inspired brewers and managers of the Thornbridge Brewery (Ashford in the Water, Derbyshire near Bakewell) and stop into several nearby pubs. Thornbridge is a beautiful, 10 bbl brewery located on the grounds of a stately English manor that was once home to a school for teachers. The current owners purchased the property and were inspired to locate a brewery in the old stonemason's shop behind the house. The Thornbridge beers have been very well received in the Derbyshire region and have garnered many awards. Thornbridge is in the process of purchasing a few pubs in nearby villages (Coach & Horses and University Arms near Sheffield) in which to sell their flavorful beers. The photo album that follows contains more information about the Thornbridge Brewery and the inviting pubs that are close by. We hope that this page will encourage international travelers (who love great beer) to venture out from the larger cities in the U.K. to see the welcoming and beautiful country landscapes. Thornbridge usually hosts one open house and tour per month -- click here for details. Thornbridge's head brewer, Stefano Cossi, goes to great lengths to produce cask and bottle conditioned ales with exceptional flavor and quality. Stefano got his brewing start in Italy, applied for the brewing position at Thornbridge when the brewery was being opened in 2004, and has been fascinated with making personable English ales ever since. He is looking forward to hand-crafting some new bottled beers later in 2007 and does all his pilot batches in his one bbl test brewhouse. Sage, ginger, orange peel and oak are ingredients that are being considered for future batches. Most of the Thornbridge brewers began their careers as food scientists and are very talented in using special ingredients to produce unique flavors. New whiskey barrel-aged beers are now being produced in bottles -- these are only available at the brewery and its associated pubs. Thornbridge's Imperial Stout has been matured in several different types of barrels, and the differences in aromas and flavors have been amazing. After 300 days in the barrel each batch of Imperial Stout seems to take on an impressive and unique depth of character. Stately Thornbridge Hall has been lovingly restored. Besides being home to a brewery, certain areas of the hall are also available for hire for private functions. 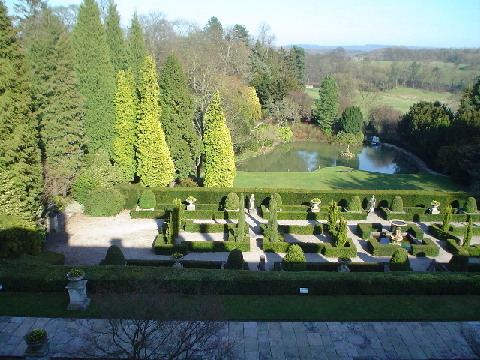 Thornbridge's manicured grounds are beautiful. Thornbridge staff show off cans of Oskar Blues beers presented to them by Owen and Kerri. L-R: Alex Buchanan, David Pickering, Simon Webster and Kelly Ryan. Thornbridge assistant brewer Kelly Ryan fills Jaipur firkins (10.8 US gallon casks) from the fermenter. Kelly started brewing at Tui in New Zealand. After teaching English for a time in Korea, Kelly came to the UK to assist in handcrafting the Thornbridge ales. 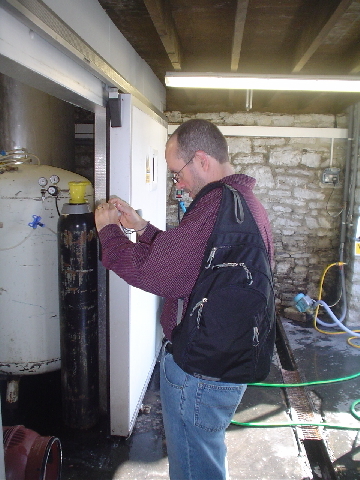 Assistant brewer David Pickering checks his recipe charts for a late hop addition. Full firkins are loaded onto a truck on their way to local pubs. 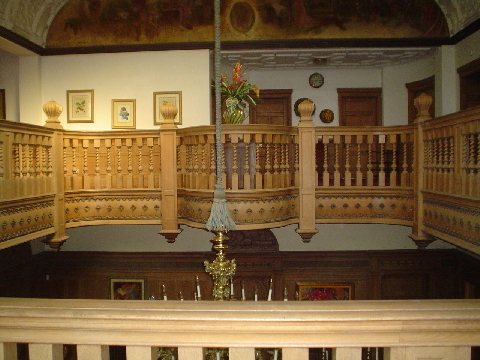 Impressive woodwork in the main lobby of Thornbridge Hall. 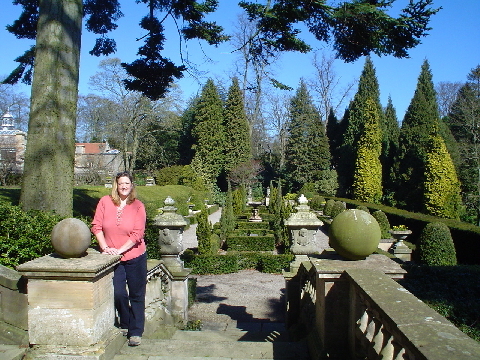 Kerri Allen strolls the gardens at Thornbridge. The Coach and Horses is a gorgeous pub that has been newly renovated by Thornbridge. 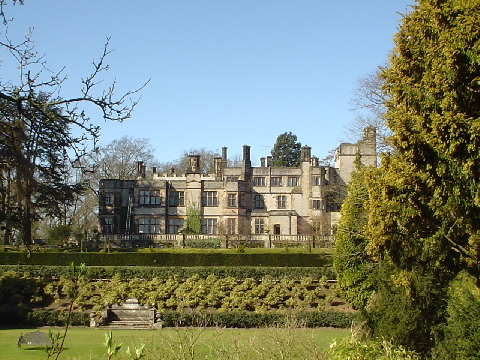 It is located on Sheffield Road in Dronfield, Derbyshire. Catherine Mueller (also from New Zealand) serves as the lovely manager of The Coach and Horses. The pub serves the full range of Thornbridge ales and is an attractive and comfortable setting for a sociable evening. The superb Stables Bar at the Monsal Head Hotel is but a short drive from the Thornbridge brewery. The delightful pub offers an impressive selection of top quality real ales. 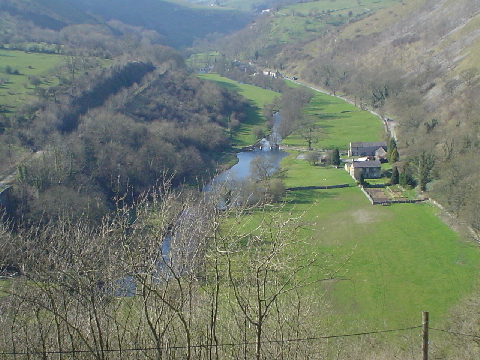 The view from the back hill of the Monsal Head Stable Bar. The 200-year-old George and Dragon has very friendly owners who are quite enthusiastic about their pub and their range of cask-conditioned ales. 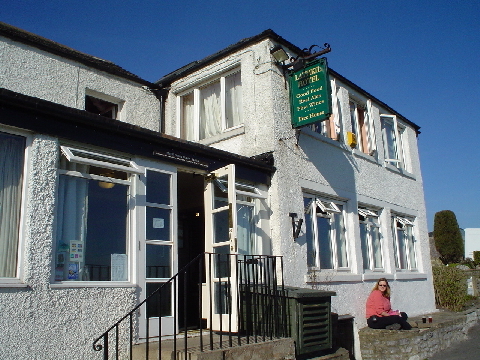 Located in Holymoorside, the Lamb Inn provides a warm welcome to hikers and locals alike. A fine selection of real ales is served up. The Lathkil Hotel in Over Haddon offers a breathtaking view of Lathkil Dale along with a nice range of ales and delicious food. This pub is a regular local CAMRA award winner. The Red Lion pub in Litton is a personable, atmospheric pub with three rooms. Regional beers (including the ones from Thornbridge) are proudly offered. In the cooler months, new firkins are stored on the covered back patio. Bridge Inn, Calver Bridge, Calver. Church Inn, Main Street, Chelmorton. Coach and Horses, Sheffield Road, Dronfield, Derbyshire (several miles from Thornbridge Brewery toward Sheffield). 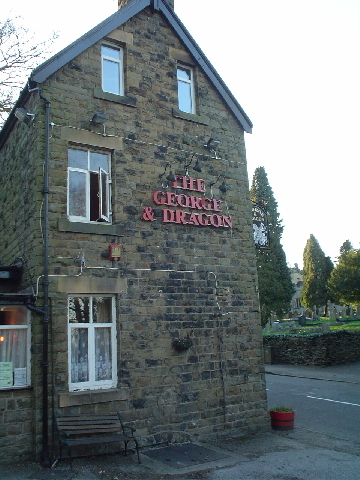 George & Dragon, Main Road, Old Brampton. See above. 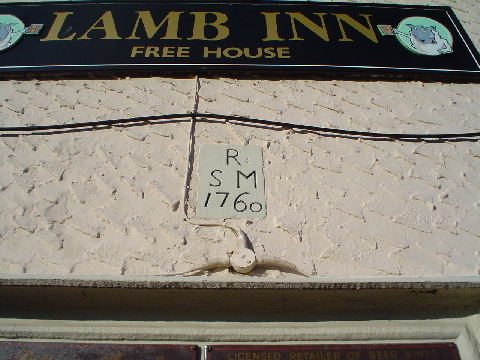 Lamb Inn, 16 Loads Road, Holymoorside. See above. Lathkil Hotel, off B5055, Bakewell-Monyash road, Over Haddon. See above. 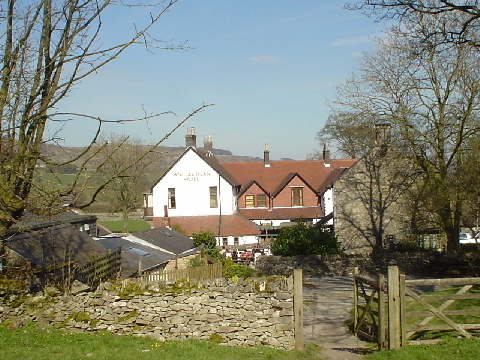 Monsal Head Hotel, DE45 1 NL, Monsal Head. See above. Queen Anne Inn, Main Road, Great Hucklow. Red Lion, Main Street, Litton. See above. Star, High Street (side street off the main city road), Tideswell.